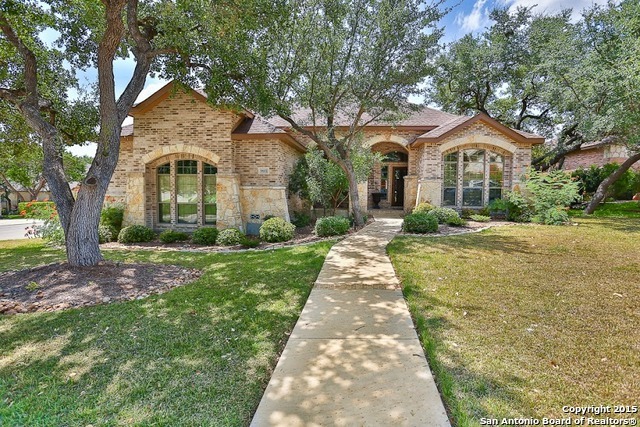 All PARK AT FRENCH CREEK homes currently listed for sale in Helotes as of 04/20/2019 are shown below. You can change the search criteria at any time by pressing the 'Change Search' button below. "Fabulous single story home with bonus room upstairs located on gorgeous corner lot with mature trees. Wood floors in dining, study & family rooms and newer carpet in bedrms. Island kitchen with bountiful granite countertops and built in appliances including gas cooking is a gourmet's delight! Generous sized family room with Santa Fe inspired fireplace and wonderful windows. Luxurious master has wonderful angles plus oversized tile shower & recessed garden tub for ease in access. Study has double"
"Custom 4-bedroom 3 bath home on large cul-de-sac lot with an abundance of mature oaks trees in gated community. 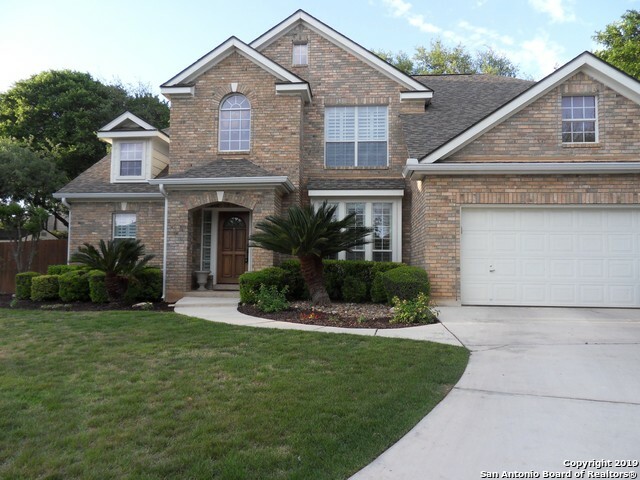 This home is within the Helotes area and O'Connor High School attendance zone. Chandelier adorned foyer with wood floors in family and dining, granite counter tops and crown molding. Tray ceilings in family and master. New paint inside, 2019 and new roof, 2018. Master and one secondary bedroom/study downstairs with 2 additional bedrooms and game/media room up. Spacious and private"